For fans of Anne Lamott, a profoundly moving memoir of rediscovering, reinventing, and reconnecting, as an estranged mother and daughter come together to revive a long-abandoned garden and ultimately their relationship and themselves. Peeling paint, stained floors, vined-over windows, a neglected and wild garden Tara Austen Weaver can t get the Seattle real estate listing out of her head. Any sane person would have seen the abandoned property for what it was: a ramshackle half-acre filled with dead grass, blackberry vines, and trouble. But Tara sees potential and promise not only for the edible bounty the garden could yield for her family, but for the personal renewal she and her mother might reap along the way. So begins "Orchard House, " a story of rehabilitation and cultivation of land and soul. Through bleak winters, springs that sputter with rain and cold, golden days of summer, and autumns full of apples, pears, and pumpkins, this evocative memoir recounts the Weavers trials and triumphs, detailing what grew and what didn t, the obstacles overcome and the lessons learned. Inexorably, as mother and daughter tend this wild patch and the fruits of their labor begin to flourish, green shoots of hope emerge from the darkness of their past. For everyone who has ever planted something that they wished would survive or tried to mend something that seemed forever broken "Orchard House" is a tale of healing and growth set in a most unlikely place. 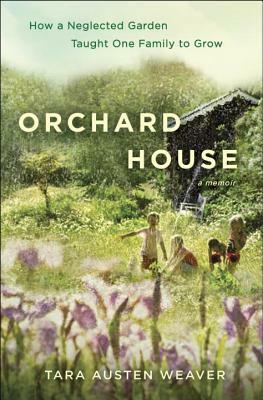 This touching memoir chronicles how the act of transforming a garden together of planting hope helps a mother and daughter reconnect and revive the sense of groundedness that had been lost within their relationship and themselves. . . . "Orchard House"] deftly captures] the love, laughter, trials and tears that make motherhood the joy and job it truly is. "American Way"
Honest and moving . . . the story of] one woman's initiation into intensive gardening with her mother, which changed a neglected space into something beautiful and bountiful and shifted their relationship as well. "Kirkus Reviews"
Fascinating, tender, often heartbreaking . . . The perfect gift for a mother or a daughter with an appreciation for the transformative power of gardening. "HGTV Gardens"
A wise exploration of family roots . . . Nurturing a garden is a lovely metaphor for healing a family. . . . "Orchard House"] could serve as a handbook for both. "Shelf Awareness"
With buoyant grace and empathic insights, Weaver offers an ardent tribute to both the science of perseverance and the art of letting go. "Booklist"
This is a glorious book lyrical, honest, compassionate, and wise. It reminds us that gardens and families are messy businesses, but from them we can harvest hope and food and moments of grace. Erica Bauermeister, author of "The School of Essential Ingredients"
"Orchard House" is a glorious and deeply moving story of one family's redemption. If Anne Lamott and Wendell Berry ever had a literary love child, Tara Austen Weaver might well be her. Elissa Altman, author of "Poor Man's Feast. Tara Austen Weaver grew up running wild on the rocky coasts of Northern California and British Columbia. A writer focusing on travel, food, agriculture, and the environment, she is the author of "The Butcher and the Vegetarian "and "Tales from High Mountain "and writes the award-winning blog Tea & Cookies. Her work has appeared in "San Francisco Magazine, San Francisco Chronicle, "and" "on Apartment Therapy: The Kitchn and Chow.com. She is trained as a master gardener, master composter, and permaculture designer. Weaver lives in Seattle, Washington, where she is also the editor of "Edible Seattle" magazine.